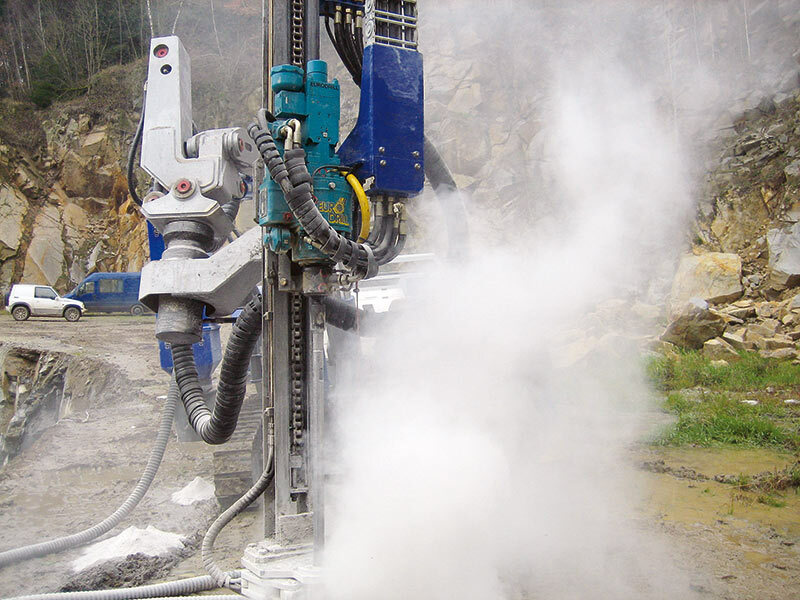 Eurodrill operates worldwide as a specialist in designing and producing hydraulic drifters and rotary heads for use in the installation of anchors/tiebacks, soil nailing, and installation of micropiles. As a reliable partner in drilling equipment for small-diameter applications, Eurodrill offers drilling systems not only for all kinds of crawler drill rigs but also for custom made applications. Founded in 1995, Eurodrill has never ceased to innovate. Over the years they have become more and more inventive, working with up-to-date CAD design as well as high-tech production and assembly of single components, assuring Eurodrill products are manufactured at the highest level of quality. Years of experience in producing hydraulic drill heads has provided a foundation of know-how and development of groundbreaking solutions for all kinds of applications needed in civil engineering required by our customers.